I know it’s only been a 3 day work week, but man this week felt long. Perhaps it’s due to my being off of work for 11 days and being unable to wrench myself out of bed at the unholy hour of 6am since I’ve been back to work. In any case, I plan on catching up on some rest this weekend. The kind of rest where you don’t move from the couch and you wear pajamas all day. This recipe is perfect if you are having one of these days. Or if it’s just cold outside and you don’t want to leave your house. 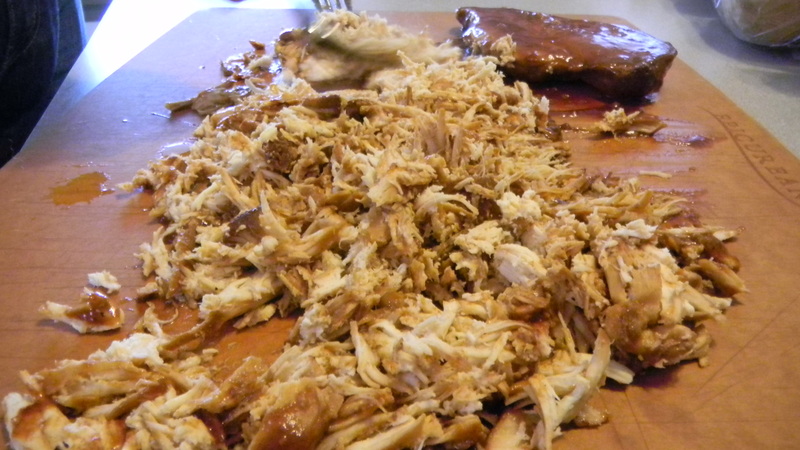 This was hands down the best pulled chicken I’ve ever had. It was juicy, flavorful, and all around yummy. It is based from this recipe, with a few of my own edits. 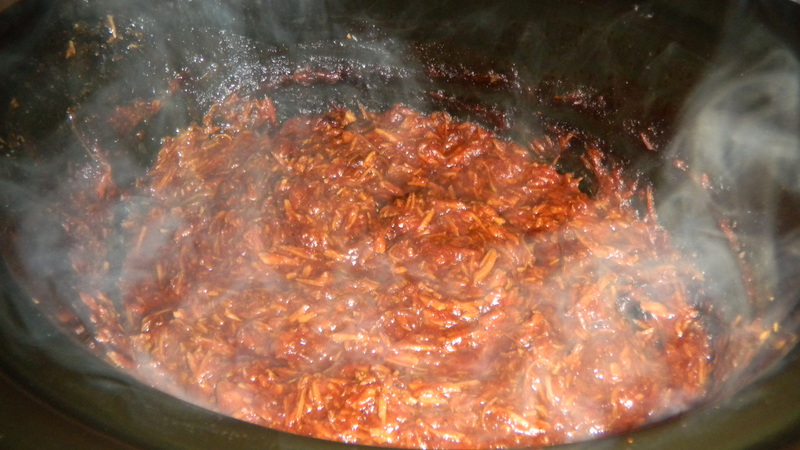 Start by putting the BBQ sauce, beer, onion, paprika, garlic, salt, pepper, and hot sauce in the crock pot and mix it up. Once it’s mixed well, add the chicken and be sure to coat it with the sauce. Cook on low for about 6 hours, and stir a couple times – just whenever you happen to be in the kitchen. When the chicken is tender enough to slice through with a fork, take it out and cut it up. 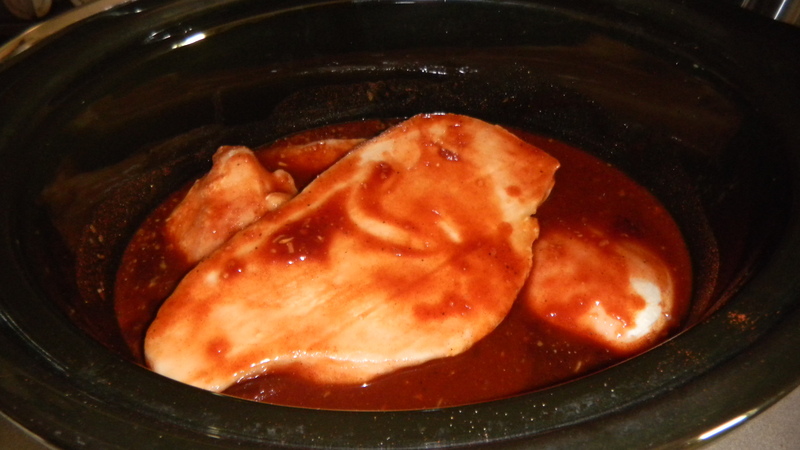 Return the chicken to the crockpot for another 15-30 minutes so the chicken can absorb more of the sauce. 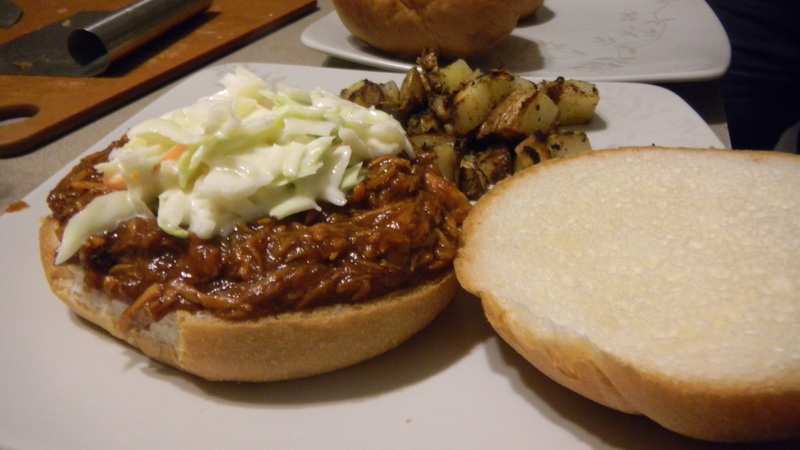 When you’re ready to eat, put some of the pulled chicken on a bun and if you want to, add coleslaw for a delicious extra crunch. This recipe freezes well, so I would recommend freezing in single portion sizes so you can just thaw some of the chicken the next time you want a quick, easy, and delicious dinner. I served the sandwich with potatoes, but it will go with anything – chips, pasta salad, veggies, you name it. Here’s to a lazy weekend ahead! Stay warm!